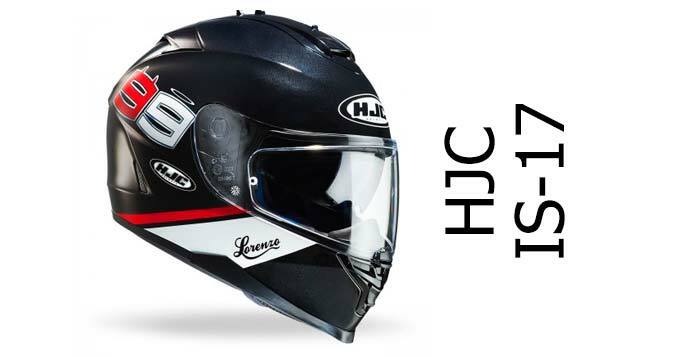 Home All Helmet Reviews Icon Alliance and Alliance GT (sun visor): great value all-rounder helmets. 1 Looking to buy an Icon Helmet? 13 Good Alternatives to the Icon Alliance? 14 Looking to buy an Icon Helmet? Icon Alliance and Alliance GT full face motorcycle helmet review. Along with the Icon Airmada, the Icon Alliance is Icon’s entry-level full face motorcycle helmet. It comes in two flavours: the standard Alliance is exactly the same as the Alliance GT except the GT has a drop down sun visor. Other than that, they’re the same helmet. The Alliance is designed as an all rounder helmet – so you can commute in it during the week, then take it out for a blast with your mates at the weekend. It should work on most types of motorcycles too, but if you spend most of your time in a tuck position, then you might want to invest in a more focused sportsbike helmet as the visor on the Alliance might not be quite deep enough. It’s also been designed for folks with longer heads too – which isn’t the typical type of helmet fitment (that’s more medium oval) but will be a welcome discovery for those of us who need more options when they’re looking for a long-oval helmet. OK, the Icon alliance is a more entry-level lid so it’s not going to be too pricey. But what exactly do you get for your money? Looking to buy an Icon Helmet? We recommend either Sportsbikeshop (UK) or GetGeared (UK) for outstanding service and competitive prices, or Motoin (Ger) for quality service and decent prices (even with the current £-€ exchange rate). Please click any link to see their full range and latest prices, or see here for more info on these retailers. Both the Icon Alliance and Alliance GT are made from polycarbonate, that’s the material of choice for making lower-priced helmets. It’s cheap to form into a helmet shape and makes for tough lids that absorb impacts well and that can offer great protection. How good? Well, the Alliance is both ECE certified for sale in Europe and DOT in the US – which means it’ll offer at least a decent minimum level of protection and is the same standard that all helmets have to pass to hit the shelves, whatever their price. Beyond that, three Icons have been independently safety tested by SHARP so far (but none tested/approved by the US Snell organisation). That includes another polycarbonate shelled Icon, the Icon Airmada which scored two stars (out of five). The Icon Alliance has been tested too and scored a respectable three stars for safety. As you can see from the SHARP test results above, the Alliance performed well on top, front and rear impacts but pretty poorly on side impacts. It’s a reasonable score overall, but not as good as some of the safest motorcycle crash helmets we’ve reviewed. Should you be unfortunate enough to hit the deck, you’ll find your Alliance is held in place using a double-d ring fastener (they’re great) and your visor’s kept closed, preventing gravel getting in because it’s got a locking pin (see visor section for more info). Of course the best helmets are carefully designed to help keep you out of trouble in the first place. The Alliance GT has a drop down sun visor – they’re mega useful and we’d highly recommend you go for a helmet with one of these. That main visor is also anti-fog treated. Icon helmets have one of the better anti fog treatments we’ve come across out of the box, and that’s really necessary to keep things mist free and give you the best view of the road ahead. And finally, you need your lid to be comfortable so you don’t get distracted by your helmet while riding. The Alliance has great ventilation and a comfortable interior so all’s good there – see sections below for more info on these. There’s no word from Icon about any particular features they’ve designed to keep the Alliance and Alliance GT quiet. But there is word from owners out there. And overall, they broadly reckon it’s a quiet helmet. OK, there’s one or two who think it’s like wearing a boom box on your head, but that’s always the case, mainly because helmet noise is so subjective. 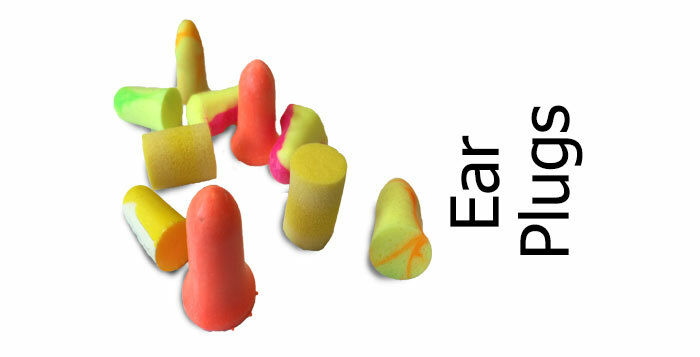 However overall, owners of the Icon Alliance say it’s great to keeping things quiet; though you should still always wear some quality ear plugs. Ventilation is also one of the Icon Alliance’s strong points. It looks like a fairly standard sort of layout; a single central chin vent and a couple of separate forehead vents up top. But that’s not the whole story. In the chin guard, there is that central large vent with a toggle panel covering it to open/close the vent. But if you look closely, you’ll notice a couple of other smaller vents to the sides, and these can be opened/closed too from inside the helmet. OK you might need to stop and take off your helmet before you can open them, but together with the main chin vent, they all vent a lot of air to the rear of the visor and onto your face. The top vents have to be open and closed separately using the small slider on each vent, which can be a bit of a pain, but owners say they do pull in stacks of air. That air is circulated around the head using a network of channels in the lining and there’s a massive six separate exhaust vents on the back of the helmet to help that warm, moist air escape. All in all, pretty well everyone we came across said ventilation on the Alliance and Alliance GT is fantastic. So if you live somewhere really hot – or just love a cold head! – then ventilation is definitely one of the Alliance’s strong points. The visor is a mixture of the great and the not so great. Positive points are that it comes with Icon’s Fog Free visor which most owners agree is excellent in keeping the visor mist free in all but the most extreme circumstances. And overall, the visor works fairly well. But there are niggles. It works on a ratchet, though a couple of owners said the ratchet is a bit soft. Nothing major, just feels like it might slam shut above 80 – though I guess most of us will have their visors firmly closed at that speed? And there’s a visor lock, but it’s very much an old school type of lock; with a metal pin locating into a hole in the visor to keep it shut. It works well though; it just takes a bit of a firm push to open the visor and most folks seem to agree it could probably do with an update. And the final niggle is that while it does have a quick change mechanism, it can take quite a bit of getting used to. You have to pull off the side pods before you get at the visor pivots – and most owners reckon it takes quite a bit of pressure to get them off – though after that, swapping the visor is simple. Having said that, there’s just as many owners out there wondering what all the fuss is about. There’s a drop down sun visor – only on the Icon Alliance GT though. Just to avoid confusion, it’s what Icon calls a Drop Shield. It’s operated by a slider right behind the visor pivot on the left hand side and it’s an up/down sort of visor: i.e. it’s either fully up or fully down, so you’ll struggle to set it to in between positions. That’s not usually a problem for most of us – if you’ve got the sun in your eyes, you want the SV fully down, right? No problems reported with how the sun visor works so it looks like all’s good there. Inside the Icon Alliance, you’ll find a contoured foam liner covered by Icon’s Hydra Dry material. That’s a breathable and moisture wicking material that’s soft to the touch and makes for comfortable liners. The liner is also removable and washable, which is always good. Weirdly, Icon US says the Alliance is designed to be a medium oval fitment while Icon Europe reckon it’s more long oval. Word out there is that it’s actually long oval fitment. And while you might find it’s really tight to get on (a few Icon’s are a bit like this) once on, owners say the Alliance is a really comfortable helmet. Just in case you buy one online, make sure you buy from a store who’ll let you swap it for a different size (like all our recommended stores will), because one or two owners say they can size a bit small, meaning you might need to go a size up from your usual fitment. Other than that, owners say it’s a really comfy helmet, so as long as you’ve got the right longer-oval shaped head, all should be well. If you know anything about Icon helmets, you’ll know that they like bonkers in-yer-face graphics on their helmets. We’ve smattered a few of the most striking up and down the page – but for more options, click through to our recommended shops below – they’ll drop you straight on to their Icon helmets page. Cheers! We've chosen some of the best places to buy from - whether it's an Icon or any other helmet/gear. If you want piece of mind when you buy, SportsBikeShop is based in the UK and offers outstanding service (9.8/10 on Trustpilot) including 365 day refunds. They have competitive prices and are our recommended retailer for quality of service. Or try Motoin (Germany). They get great feedback (4.9 and 4.5 out of 5 on Idealo and eTrustedshops at the time of writing) though note, there's a delivery charge so factor that in (see here for details). 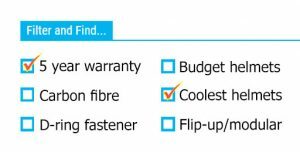 GetGeared is another recommended UK retailer, with a no-quibble 365 day returns policy, free UK delivery and scoring 4.8/5 on eKomi. Please click any picture/link to visit their Icon pages where you can see all the latest colour schemes and prices. And if you buy from any, we get a small sum from the sale at no extra cost to you - a massive THANKS! (it's how we finance the site). Click here for more info on our recommended retailers. If you’re looking to use a bluetooth headset with your Alliance, there aren’t any speaker pockets built into the EPS liner. Which is not to say it can’t work with an intercom – it can. Several owners of Sena headsets have successfully installed them onto an Alliance. But just make sure you have a set with low profile speakers otherwise you might struggle. The Alliance weighs around 1.65Kg (3.6lbs) which is a bit heavier than average for a polycarbonate helmet but shouldn’t cause a problem. In fact, of all the comments about weight we could find, we only found owners saying how light the helmet feels. Just goes to show, unless it’s massively overweight, helmet weight can be a perception thing. As for aero, the Alliance is a pretty decent performer. It doesn’t have the winglets and spoilers of a race helmet, but it has been wind tunnel tested and owners seem to say it’s resulted in a pretty stable that doesn’t suffer from buffeting. Finally, onto build quality. 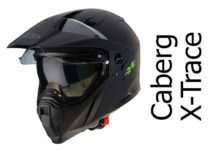 OK, it’s a relatively inexpensive helmet, so you’ve gotta take that into consideration, but owners say that the build quality is excellent for a helmet at this price point. Paint and finish, construction and decent quality materials are all mentioned – so you can expect the Icon Alliance to last. Which is undoubtedly a good job because Icon helmets only come with a stingy one year warranty. If you’re after a good solid helmet for a decent price, then the Alliance and Alliance GT (sun visor) are definitely worth a look. And if you’re after standing out from the crowd with some crazy graphics, then they’ll probably come top of your list! But graphics aside, the polycarb Alliance range are decent helmets. 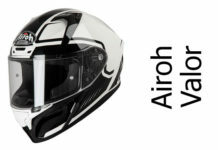 OK, it didn’t score top marks when SHARP tested it – although 3 stars is pretty good going – but for a daily helmet, they’re comfortable with superb ventilation, a decent visor and sun visor, and they’re relatively quiet too. In fact, for the money, the Icon Alliance is right up there as one of the best all rounders we’ve come across. Well worth checking out. Good Alternatives to the Icon Alliance? 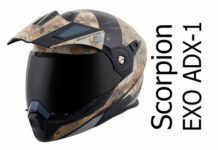 Here’s some great performing full face helmets to look at – all with great tested/proven safety. First off, the SHARP 5 star safety rated HJC FG-ST. It’s a fibreglass lid with sun visor, Pinlock antifog and available for just a tinsy bit more than the Icon Alliance. Or how about this one – the LS2 Arrow. For the same price as one of the top end graphic Alliances, you can get a fibreglass SHARP 4 star rated sportsbike helmet with Pinlock and optically correct visor that weighs around 1.3Kg. Wow. A bit more is the X-Lite X-702 GT. That’s a composite fibre SHARP 5 star touring helmet that’s quiet, comfortable and with great ventilation just like the Icon Alliance. Finally, the AGV K5S is another sports/touring full face helmet that’s highly rated for safety, looks cool and is great value for money. The Icon Alliance is a great motorcycle helmet. It looks cool with a ton of outrageous graphics available (as usual for Icon) but it's comfortable too with great venting and decent visor (with sun visor on the GT version). It's good value for money too. Owners love em, probably because they get a well built and versatile all-rounder that's just as good on a tour as it is for the daily commute. Well worth a look.